Самолет ATR-72, с регистрационен номер RDPL-34233 и собственост на Lao Airlines изпълнявал полет QV301 от лаоската столица Виентян за административния център на провинция Тямпасак, град Паксе. При захода си за кацане навлязъл в област с проливен валеж и силни пориви на вятъра, при което екипажът вероятно загубил контрол над управлението на самолета и машината оставяйки дълбоки следи на брега се озовала във водите на река Меконг. Всички на борда, 5-членният екипаж и 44 пътници, са загинали. Сред тях не е имало българи. Води се разследване за изясняване на причините довели до трагедията. Все 49 человек (44 пассажира и 5 членов экипажа) погибли в результате крушения пассажирского самолета ATR 72 (RDPL-34233) в Лаосе, Самолет, принадлежавший авиакомпании Lao Airlines, выполнял рейс QV301, направлявшийся из столицы страны Вьентьяна в административный центр провинции Тямпасак, город Паксе,. Авария произошла в среду около 15:55 по местному времени (12:55 мск) при заходе на посадку в аэропорту города Паксе. Предположительно, ее причиной стали плохие погодные условия. Самолет упал в реку Меконг. Россияне на борту разбившегося самолета не были. Lao Airlines ATR-72 (RDPL-34233), performing flight QV301 from the Laos capital Vientiane to Pakse in the country's south, crashed at 08:55 UTC on 16.10.2013 on approach to Pakse killing all 49 occupants (5 crew and 44 passengers) onboard. Heavy rain and winds while the plane was landing at Pakse Airport caused the pilot to lose control of the plane. A senior aviation official said the tail end of Typhoon Nari may have been a factor. Southern Laos was affected by Typhoon Nari, which hit the region on Tuesday. The aircraft crashed into Mekong River near Done Kho Island on Wednesday afternoon, 8 kilometers from Pakse International Airport. Backpacks, two broken airplane propellers and passports were among the debris scattered on the riverbank where the Lao Airlines turboprop plane left deep skid marks in the ground before disappearing into the water. Debris was seen floating in the river at the scene of the disaster, while suitcases were wedged in mud on the riverbank. Around a dozen rescuers were using a crane perched on a floating platform in the middle of the Mekong to try to winch the submerged aircraft from the river, which was swollen by a recent tropical storm. A special investigative team from Lao airlines is cooperating with authorities as well as the aircraft manufacturers to identify the cause of the accident. The MASwings DHC6 passenger plane (9M-MDM), flight MH3002, left Kota Kinabalu airport at around 2.05pm for the 40-minute flight to the northern Sabah district. 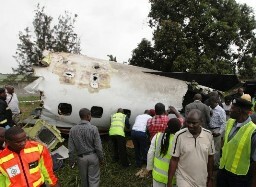 It crashed into a house during bad weather while making a landing approach on the 900m airstrip. The 23-year-old co-pilot of the ill-fated MasWings Twin Otter plane died at the Queen Elizabeth Hospital here. Marc Joel Barsih died of multiple head and body injuries shortly after he was airlifted by helicopter to the hospital at about 8pm Thursday. Earlier, passenger Tan Ah Chai, a 69-year-old local, died at the Kudat hospital two hours after the plane crashed at about 2.55pm on Thursday. Embraer 120RT (5N-BJY), собственост на нигерийската чартърна авиокомпания Associated Aviation, загуби мощност при излитането си и се разби в района на горивозарядно депо в района на международното летище в Лагос – Муртала Мухамед (LOS). На борда е имало общо 20 души. Групата е съпровождала тялото на д-р Олусегун Агагу, бивш губернатор на щата Ондо, към мястото му за погребение в гр. Акуре. На мястото на катастрофата загиват 13 души. Дни по-късно почиват от нараняванията си още двама. Оцелелите са 5, настанени за лечение в болници в Лагос. Води се разследване за причините довели до трагедията. Дейността на авиокомпанията Associated Aviation е преустановена с разпореждане на Нигерийската гражданска авиационна администрация (NCAA). Самолет Embraer 120RT (5N-BJY) выполнявший рейс SCD-361 с 20 пассажирами на борту потерпел крушение при взлете из аэропорта в нигерийском городе Лагосе. Пассажиры сопроваждали тело бывшего губернатора штата Ондо, д-р Олусегун Агагу, и летали в Акуре на его похоронение. Во время катастрофы погибли 13 человек. Позднее в госпитале скончались еще двое. Самолет принадлежал нигерийской чартерной авиакомпании Associated Aviation. Все операции этой авиакомпании были переостановлены Нигерийской гражданской авиационной администрацией (NCAA). Associated Aviation Embraer 120RT Brasilia turboprop (5N-BJY) crashed on takeoff and was destroyed at Lagos-Murtala Muhammed International Airport (LOS), Nigeria. The airplane impacted the ground near the airport fuel depot and broke up. A fire erupted. There were 20 people on board the plane. Seven occupants initally survived the accident. Two later died in hospital. Associated Aviation flight SCD-361 operated on a flight from Lagos to Akure, Nigeria. The airplane was carrying the body of a former Governor of Ondo State, Dr. Olusegun Agagu, for funeral in Akure. The Accident Investigations Bureau (AIB) has launched an investigation into the cause of the accident. The flight recorders have been recovered. Following the ill-fated crash at LOS the NCAA (Nigerian Civil Aviation Authority) suspended all operations of Associated Aviation airlines. 01.10.2013*/Iraq/ 130km (80miles) North of Baghdad/ outside Tikrit - Iraqi Air Force helicopter shot down by rebels. The 5 occupants were killed. */Australia/ QLD/ North of Cunnamulla - A Piper PA-28-161 Warrior II plane (VH-CCQ) force landed to a paddock. The pilot was seriously injured and the sole passenger onboard received minor injuries. 03.10.2013*/New Zealand/ Canterbury/ Kaiapoi/ Swannanoa - A training Guimbal Cabri helicopter crashed injuring the 2 occupants. */Germany/ Weisenhorn Airfield (EDNW) - A Schempp-Hirth Nimbus 4M glider (D-KWGL) crashed on approach. The pilot suffered minor injuries. */Tanzania/ Dar es Salaam/ Tanzania Peoples Defense Force barracks - A training Cessna U206G Stationair plane (5H-IBB) crashed on landing injuring slightly the 2 occupants. */US/ FL/ Eustis/ near Eustis Airport Road - A powered hang glider crashed due to an engine failure. The pilot was injured. 04.10.2013*/US/ PA/ Snyder County/ Selinsgrove/ Penn Valley Airport (KSEG) - A Piper PA-22/20-135 plane (N170JH) crashed in a field injuring the 2 occupants. */UK/ Shropshire/ near Shrewsbury - A Bell 206B Jet Ranger heiicopter came down in a field close to a farm in Upper Edgbold. No injuries. */US/ CA/ Hemet/ Hemet-Ryan Airport (KHMT) - A Marsh Aviation S-2F3AT firefighting plane (N437DF) experienced a hard landing collapsing the landing gear and discharging the retardant on the runway. 05.10.2013*/US/ ID/ Nampa - A helicopter crashed. The pilot walked away with minor injuries. */Colombia/ Choco Province/ Capurgana - USAF de Havilland Canada DHC-8-200 surveillance plane crashed killing 4 occupants. Two were injured. */US/ FL/ Gainesville/ Flavet Field - A Cessna 172F Skyhawk plane (N8715U) lost an engine power and force landed in a field injuring the 2 occupants. */Australia/ NSW/ Adelong/ Califat Road - A Rand Robinson KR-2 plane (VH-CTE) crashed shortly after takeoff killing the pilot. 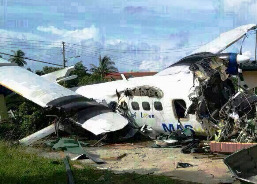 */Northern Mariana Islands/ Tinian Island/ East of the Voices of America Tower - A Piper PA-32-300 Cherokee Six plane (N4089W) crashed just after takeoff. Two passengers and the pilot were killed in the crash. Four other passengers were injured. 06.10.2013*/Puerto Rico/ 6,5 km (4.1 mls) W off Cayo Luis Pena - Air Flamenco Pilatus Britten-Norman BN-2A-8 Islander plane (N909GD) crashed into the sea killing the pilot. */Thailand/ Udon Thani Airport (UTH) - Nok Mini Airlines Saab 340B passenger jet (HS-GBG) suffered a runway excursion and collpsed the nose landing gear. No injuries. */Chile/ between Isla Mocha and Tirua - A Cessna 172 plane (CC-PCX) missing. The number of persons onboard is unknown. */Colombia/ Casanare/ Hato Corozal - A Gavilan G358 plane (HK-4217G) was hijacked by armed group shortly after landing with pilot on board. Missing. */Hong Kong/ Sek Kong Airfield - A training Robinson R-22 Beta II helicopter (B-HJN) crash-landed. No injuries. */Kenya/ Kilifi County/ Tezo/ Magorani - A Piper PA-28R-200 Cherokee Arrow plane (5Y-ALJ) crash-landed due to an engine failure. */UK/ Stourbridge/ Stourton/ Bridgnorth Road - A PEGASUS XL-R microlight (G-MVKM) struck pylons and crashed into a field killing the pilot. */Australia/ QLD/ Bundaberg/ Moore Park Beach - An ultralight aircraft crashed injuring seriously the pilot. */Pakistan/ Karachi-Jinnah International Airport (KHI/OPKC) - PIA Airbus A310-300 passenger jet (AP-BEC) landed shortly after takeoff. Its engine nr 2 caught fire mid-air. */Russia/ Belgorod region/ Sevryukova - An Antonov 2R plane (RA-31505) performed a force landing during a test flight and crashed. A fire erupted. 08.10.2013*/US/ MD/ Ridgely/ Near Ridgely Airpark (KRJD) - A Cessna 170 plane (N4216V) crashed in a field due to an engine failure. No injuries. */US/ TX/ Brownwood/ Brownwood Regional Airport (KBWD) - A Beechcraft S35 Bonanza plane (N6861Q) crashed on landing.The pilot sustained severe burns. */US/ AZ/ Sedona/ Sedona Airport (KSEZ) - A Mooney M20J 201 plane experienced a runway overrun upon landing. One person sustained minor injuries, and the other two people were transported by air to the Flagstaff Medical Center with major injuries. */UK/ Berkshire/ near Theale/ Englefield Mayridge Farm Airstrip - Three parked planes were damaged by a four-wheel drive Jeep Grand Cherokee driven into them. In the accident were involved a Cessna T182T (G-EIRE) and Cessna 180 Skywagon (G-AXZO). 09.10.2013*/US/ NM/ Albuquerque/ Rio Rancho - A Cameron V-77 hot air balloon (N9528A) hit a power line on landing and crashed. Both occupants sustained severe burns. */US/ LA/ Gulf of Mexico/ 30 miles NE of Venice - A Bell-206 helicopter crashed in the Gulf of Mexico. One person has died and two suffered severe back injuries. */US/ OH/ Dayton/ Greene County Airport (I19) - A Piper PA-46-350P Malibu Mirage plane (N561C) crashed on landing. No injuries. */Chile/ Antofagasta - F-16AM Fighting Falcon's tires burst on takeoff and the pilot performed an emergency landing on the runway. */Pakistan/ Punjab province/ Hafizabad district/ Pindi Bhattian - A PAC MFI-17 Mushshak jet crashed. Both pilots ejected safely. */Thailand/ Tambon Thepa/ Sai Bo La Yu Canal - A military helicopter crashed into the canal injuring 1 of the ten on board. */Philippines/ Mindanao's Compostela Valley province/ Maragusan town/ Mapawa village - The plane's landing gear brakes malfunctioned upon landing, causing it to swerve with its left wing hitting a person on the ground who was fatally injured. The pilot received injuries too. 10.10.2013*/US/ AK/ 20 miles northeast of Cold Bay/ Izembek National Wildlife Refuge - A Cessna 185 plane crashed on a short sandbar. No injuries. */US/ VA/ near Chesapeake/ Great Dismal Swamp - A Cessna 340A plane (N4TK) crashed into the swamp killing the 4 occupants. */US/ CA/ Monterey/ near Monterey Peninsula Airport (KMRY) - A Beechcraft King Air 350 plane lost its door shortly after takeoff. The door impacted a local motel roof. */US/ TX/ Houston/ David Wayne Hooks Memorial Airport (KDWH) - A Cessna 172R Skyhawk plane (N999UF) crashed at the airport. No injuries. The 58-year-old captain of the flight sustained head injuries and was taken with three other injured passengers to the QE hospital for treatment. Their condition is said to be serious but not life threatening. On board were 16 people. The passengers on the DHC6 had told rescuers that they were approaching to land in bad weather just before the plane plunged into the house close to the airport. Some claimed that the plane had hit sea water near the airport before ascending again but had clipped into a tree before it crashed landed. An investigation by the Department of Civil Aviation for reasons of the crash is going on. 11.10.2013*/US/ IN/ French Lick/ near French Lick Municipal Airport (KFRH) - A Rans S-12 aircraft (N8028W) impacted and lodged in a tree 60 feet above ground. 12.10.2013*/US/ AZ/ Tonto Nat'l Forest/ North of Horseshoe Dam - A Taildragger aircraft crashed on takeoff in the brush. No injuries. */Panama/ N of Gamboa - A light plane (HP-1780-L) fell into the water of Panama channel. */US/ MI/ Ann Arbor/ Ann Arbor Municipal Airport (KARB) - A Cessna plane made a hard landing collapsing the nose gear. 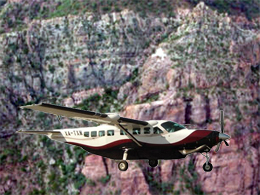 Contact with the Cessna 208B Grand Caravan plane (XA-TXM), owned by the company Aeroservicio Guerrero, was lost during a flight from Loreto to Ciudad Constitucion in Baja California Sur. As a result of intense work of search supported by different aircrafts, as well as brigades for ground, the crashed plane was located from a helicopter to 14 nautical miles (approximately 22 kilometers) to the west of the airport of Loreto, in the “Sierra de La Giganta” There are no survivors among the 14 occupants on board, a pilot and 13 passengers. 17.10.2013*/US/ AK/ Fairbanks (PAFA) - A Cessna 172C Skyhawk plane (N1512Y) crashed shortly after takeoff killing 1, injuring seriously the remaining 2 on board. */US/ PA/ Slatington (69N) - A Cessna L-19 plane flipped over on landing. The pilot received minor injuries. */Saudi Arabia/ Makkah - Saudi Royal Air Force helicopter made a hard landing. No injuries. 18.10.2013*/Australia/ WA/ South of Hyden - A crop duster crashed killing the pilot. */US/ OK/ Pushmataha County/ SW of Sardis Lake - A 1968 single-engine Cessna plane crashed killing the pilot. */Argentina/ BA/ Lincoln/ Martinez de Hoz - An agricultural Piper PA-11 Cub Special crashed in a wheat field and burned killing the 2 occupants. */Germany/ Munster-Osnabruck Airport (EDDG) - A Comco Ikarus C42B plane (D-MCOH) flipped over on landing injuring seriously the pilot. 19.10.2013*/US/ ME/ Northwest Piscataquis/ Moosehead Lake - A Cessna 185 sank upon landing on the northeast section of Moosehead Lake. The 2 occupants received minor injuries. */Papua New Guinea/ Madang Airport (MAG) - Air Niugini ATR-42-320F cargo plane (P2-PXY) sustained substantial damage in a runway excursion accident. */Philippines/ Balesin Airstrip - SkyJet Airlines British Aerospace BAe-146-200 passenger plane (RP-C5525) suffered a runway excursion on landing. The nose came to rest partially submerged in the sea water. No injuries. */UK/ near Halfpenny Green Airfield - A Cassutt Racer IIIM (G-BFMF) force landed in a field on approach. */US/ TX/ Estates Airpark (XS09) - A small plane made an emrgency landing and caught fire. No injuries. */US/ AZ/ Tucson/ Ryan Field Airport (KRYN) - A Piper PA-28-160 Cherokee plane (N5184W) crashed on landing. No injuries. A Pilatus PC-6/B2-H4 Turbo Porter carrying 10 skydivers (instructors and students) and a pilot, crashed some ten minutes after takeoff. Witnesses saw part of a wing break off, sending the plane into a spiraling nosedive and crashed in a field close to Fernelmont town. All aboard were killed. The parachutists planning to celebrate a birthday with a skydive. The trip was a birthday present for one of them. The airplane had been rebuilt in 2002 by Pilatus Flugzeugwerke following a take-off accident at Moorsele (EBMO) on March, 12th 2000. The airplane was registered OO-FWJ and became OO-NAC when it returned in 2003. 15.10.2013*/United Arab Emirates/ near Palm Islands - UAEAF helicopter crashed killing an American citizen. 21.10.2013*/US/ OK/ LeFlore County - A small plane with a 71-year-old pilot missing. 22.10.2013*/Brazil/ SC/ Joinville/ Aeroporto Lauro Carneiro de Loyola - A training Robinson R-22 helicopter crashed on takeoff. No injuries. 23.10.2013*/Australia/ VIC/ 19 km west of Mt Hotham Airport - A Cessna 182Q Skylane (VH-KKM) crashed in a wooded area killing the pilot. */US/ NC/ Burnsville/ Mountain Air Airport (2NC0) - A Beech A36 Bonanza plane (N7257W) experienced a runway overrun during takeoff injuring slightly the 2 occupants. */US/ AZ/ Tucson/ Tucson International Airport (KTUS) - A Piper PA-23 Aztec plane (N3162P) crashed on takeoff injuring slightly the pilot. */US/ CA/ Lodi/ Lodi Airport (1O3) - A Cessna T210H Turbo Centurion plane (N6942R) ran out of the runway on landing and flipped over. No injuries. */US/ AK/ Homer/ Homer Airport (PAHO) - A Beech 1900C plane (N575U) experienced a landing gear collapse upon landing injuring 2 of the 16 occupants. 24.10.2013*/South Africa/ WC/ Stellenbosch - An Yakovlev Yak-18T plane (ZU-FLE) crashed shortly after takeoff killing the pilot. */UK/ Peterborough/ Conington (EGSF) - A Pitts S1-S plane (G-BOXH) veered to the left, departed the runway and struck a low wooden fence. */New Zealand/ Waikato/ Hamilton Int'l Airport (NZHN) - A training Tecnam P2008 plane experienced a loss of directional control during takeoff and collided with a parked Cessna 172. Both planes were damaged. The solo student pilot onboard received minor injuries. */US/ CA/ Sequoia Nat'l Forest/ South of Brown Peak - A Piper PA-28-180 Cherokee plane (N30865) crashed in a mountainous terrain injuring the pilot. 25.10.2013*/France/ Paris-Charles de Gaulle Airport (CDG) - Europe Airpost Fokker F-27 Friendship 500F cargo plane suffered the left hand (nr.1) engine failure and made an emergency landing. During the accident the propeller blades sliced through the fuselage of the airplane, exiting on the other side. */US/ TX/ Borger/ near Cofield Community Center - A Cessna T210L Turbo Centurion (N398MA) made a force landing. The 2 aboard received minor injuries. */US/ TX/ Raymondville/ near Bell Airfield (XS56) - A Cessna 172M Skyhawk (N20587) force landed in a field on approach injuring slightly the pilot. 26.10.2013*/France/ Andernos Airfield (LFCD) - A Tecnam P2002-JF Sierra plane (F-GXEC) crash-landed injuring slightly the pilot. */France/ Torreilles -Pyrenees Orientales - A training Robinson R22 Beta helicopter (F-GPKA) crashed. The pilot and the passenger were slightly injured. */US/ MO/ 1 mile SE of the Jefferson City Memorial Airport (KJEF) - A training Bell OH-58A Kiowa helicopter (N283MP) made an emergency landing. One of the occupants rceived minor injuries. */US/ OH/ Springfield-Beckley Municipal Airport (KSGH) - A small plane made a belly landing. */Japan/ Matsuyama airport (RJOM/MYJ) - A Beechcraft A36 plane (JA4159) collapsed the nose landing gear on landing. No injuries. 27.10.2013*/US/ FL/ Everglades City/ Everglades Airpark (X01) - A Piper PA-28R-201T Turbo Arrow III plane (N2702M) crashed into the Everglades Bay on approach. The 4 occupants received injuries. */Brazil/ BA/ Ilheus - A Helibras AS 350B2 Esquilo helicopter (PT-HZQ) crashed on takeoff injuring the 3 occupants. */Syria/ Homs - Syrian Air Force MiG jet shot down by rebels. */Australia/ NT/ Howard Springs - An ultralight aircraft impacted bushland terrain killing the pilot. 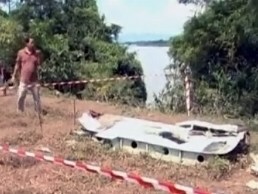 */Brazil/ MT/ Tangara da Serra - An agricultural plane crashed during a test flight injuring slightly the pilot. 28.10.2013*/Pakistan/ Gujranwala District/ Rahwali Cantonment - PAF Bell AH-1 Cobra (AH-1F) helicopter crashed due to technical fault while performing a low flight. The pilot (Major Imran) and co-pilot (Major Furqan) were injured. */US/ CO/ Castle Rock - A Glasair Sportsman GS-2 plane (N535SP) hit a power line near a residential area and crashed injuring seriously the female pilot. */US/ OK/ Oklahoma City/ Wiley Post Airport (KPWA) - A Beechcraft 350 Super King Air plane (N840CA) experienced a collapse of the left main landing gear upon landing. */Spain/ Gran Canaria/ Tamadaba Natural Park - A training Piper PA-28RT-201T Turbo Arrow IV (EC-KPC) crashed killing the 3 occupants. */New Zealand/ Mt Aspiring National Park/ near Tyndall Glacier - A pilot and 11 passengers have been injured when a helicopter with 7 occupants coming in to land in a New Zealand national park crashed into another chopper on the ground with 5 occupants..Both helicopters are said to belong to the Helicopter Line company. */Australia/ Tasmania/ near Waterhouse Island/ Banks Strait - A Thruster ultralight crashed into the sea due to an engine failure. */US/ OR/ Days Creek/ South Umpqua River - A Bell 206B JetRanger II helicopter (N16673) hit power lines and crashed into the river injuring 1 occupant. 30.10.2013*/Thailand/ Phitsanulok Airport - A training Piper airplane collapsed the landing gear upon landing. No injuries. */Philippines/ Pampanga/ Santa Fe lahar trail - A training Cessna-152 plane (RP-C8832) crashed as a result of low oil pressure. No injuries. 31.10.2013*/Australia/ Atherton Aerodrome (YTAN) - An ultralight plane flipped over on takeoff. No injuries. */Australia/ about 150km north of Adelaide/ near Burra - A Cessna 172N Skyhawk plane (VH-IGS) crashed on landing due to a gust of wind. No injuries.